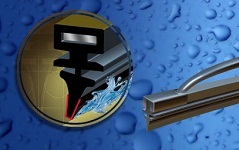 Bosch is a key component of the Imparts portfolio due to its own obvious commitment to quality. 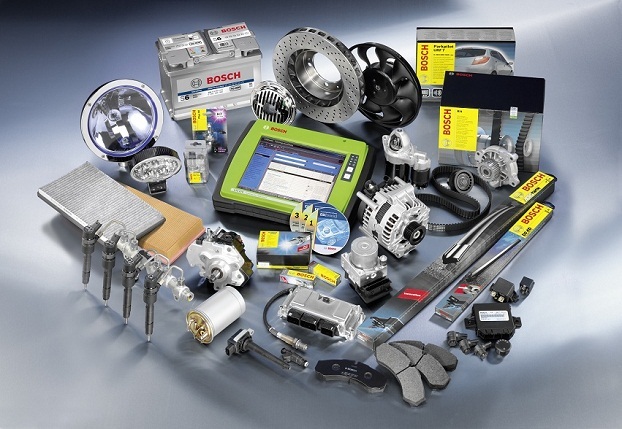 For over 100 years Bosch has earned the reputation as a world leader in automotive technology and supplies top quality replacement parts and accessories to the automotive aftermarket. 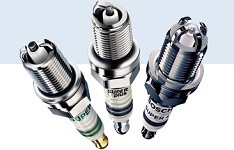 Since the early 1900's Bosch has been supplying quality ignition components to leading vehicle manufacturers. 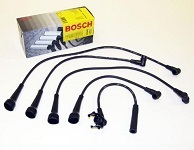 Bosch Super Sports ignition leads, the quality choice for your vehicle. Bosch has been the leader in spark plug technology for over 100 years and produces over 1 million spark plugs per day covering passenger and commercial vehicles as well as motor cycle, marine and other applications. Since inventing the electrical wiper blade over 80 years ago Bosch is the world's largest wiper blade manufacturer. Bracketless construction provides a 20% improvement in service life compared to conventional wiper blades. Fully synthetic dual rubber technology for longer life, increased safety and genuine value for money. 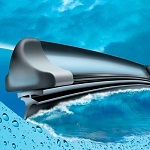 New Bosch ECO wiper blades combine high quality and low cost for an economical alternative to refills. 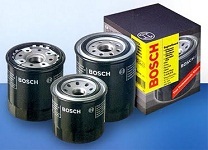 Whether it is oil, air, fuel or cabin filters, you can rely on Bosch. Bosch filters, made of special micro-fibre paper impregnated with synthetic resin, separate up to 99% of all impurities. They provide an optimum balance between filtration efficiency and pressure drop, ensuring they have a long service life. Engine oil reduces the friction between engine parts while the engine is running. 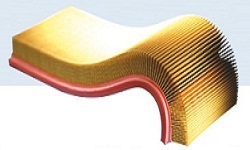 It separates abrasive particles away from friction surfaces and acts as a sealing medium and protects from corrosion. A combustion engine requires fresh air as a reactant. 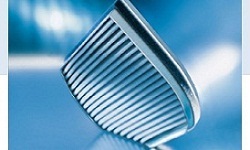 The intake air always contains minute dust particles which can effect the engines performance. After driving 20,000kms the intake air can contain up to 1kg of dust. In a modern diesel and petrol injection system, even the smallest particles contained in the fuel will cause wear. As the leading manufacturer of these systems we have developed the optimum fuel filter to effectively protect all engine components. From ABS to disc rotors and pads, Bosch designs and manufactures a full range of braking products for both vehicle manufacturers and the automotive aftermarket. 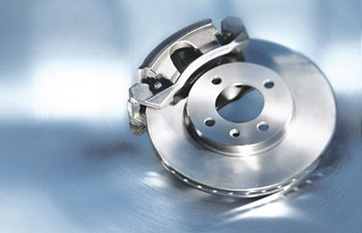 Bosch utilizes it expertise in total braking systems to produce a range of disc rotors and disc pads that deliver outstanding performance and long-life. Bosch disc rotors are manufactured to OE specifications, using the highest quality materials to ensure vibrations and noise are minimized. Rigorous testing procedures ensure that quality standards are maintained with every rotor. Bosch brake pads are designed to complement the range of disc rotors. The three-tiered program caters to different segments of the market, but all fit perfectly with Bosch rotors. Bosch designs complete engine management systems from the fuel pump all the way to the Oxygen Sensors and everything in between, who better to understand the requirements of engine management components than the people who design the systems. The sensor is used to measure the air-mass flow in internal combustion engines for precise adaptation of the injected fuel quantity to the current power requirement, atmospheric pressure and air temperatures. The main causes of fuel injector wear or failure is contamination of the fuel system and corrosion due to moisture in the fuel. 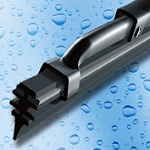 Injector performance can be affected by particles as little as 10 microns (0.01mm). An essential part of the Fuel System, the Fuel Pressure Regulators' sole purpose is to maintain fuel pressure at a constant differential to manifold vacuum under all engine load conditions. 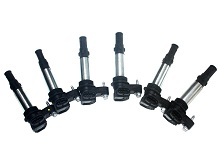 The fuel pressure regulator is responsible for controlling the set fuel pressure of the system. The main causes of fuel pump wear or failure is contamination of the fuel system, dirty/missing filter and/or corrosion due to moisture in the fuel. Fuel pump performance can be affected by particles as little as 10 Microns (0.01mm). Bosch is the leading supplier to OE manufacturers and is a leader in fuel pump technology. Regarding their principle of functionality, knock sensors are basically vibration sensors and are suitable for detecting structure-borne acoustic oscillations. These occur as "knock" for instance in a vehicle's engine when uncontrolled ignition takes place, and are converted into electrical signals by the sensor and inputted to the ECU. As a rule 4 cylinder in-line engines are equipped with one knock sensor; 5 and 6 cylinder engines, with two; and 8 and 12 cylinder engines have two or more. They are switched in accordance with the ignition sequence. Thanks to their robust design, these vibration sensors can withstand even the most severe operating conditions. A MAP (Manifold Absolute Pressure) Sensor is a micromechanical sensor that measures the absolute pressure in the intake manifold and compares it with a reference vacuum, not with the ambient pressure. This enables the air mass to be precisely defined. The Oxygen Sensor detects the amount of oxygen in the exhaust gas and sends a signal to the engine control unit which adjusts the air fuel mixture to the optimal level. 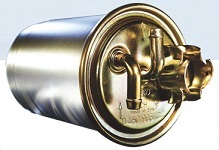 Too much oxygen in the exhaust gas indicates a lean mixture, which can cause performance problems, including misfires. Too little oxygen indicates a rich mixture, which wastes fuel and results in excess exhaust emissions. Sensors of this type are used in motor vehicles to register the angle of rotation on the throttle valve and the rate of change. The sensor is used to generate a secondary load signal, which amongst other things, is used as auxiliary information for dynamic functions, as well as for recognition of operating range, from idle, through part, to wide open throttle position, and as a limp home or emergency signal in case of a failure of the primary load sensor (air mass sensor).